The 1st annual DeLand Sport Aviation Showcase is in the history books…, and the first chapter is a great success story! Now it's time to start thinking about chapter two - the 2017 Sport Aviation Showcase set for 2-4 November 2017. Accolades continue to pour in for the layout and organization of the event, with many exhibitors, vendors, and visitors commenting that it was the most organized first-ever event they've experienced… "It was organized as well as many shows that have been running three years or more," said one attendee. Paul Mather, owner of M-Squared Aircraft, was impressed with the quality and quantity of exhibitors. "100 exhibitors in the first year are impressive; and these are quality companies that are participating." One volunteer commented that it's amazing how well this event came together, "To think this event just started coming together six months ago and was this organized and successful is amazing. Obviously, this wasn't the organizers' first rodeo." 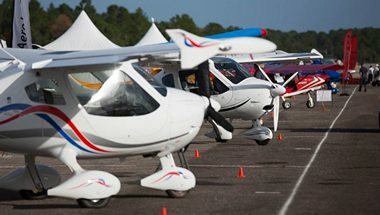 "We are very pleased that exhibitors and attendees had a good experience at Showcase 2016, and we really appreciate the efforts of our volunteers," said Jana Filip, Sport Aviation Administrator for DeLand Municipal Airport. "Between aircraft sales, insurance and other service sales that were made, about 20 sales of various types occurred during the show. It was a great weekend, and we're excited to begin planning for Showcase 2017! While attendance could have been stronger, several media outlets have said it was as good or better than what could be expected for a first-year event. But, more importantly, many exhibitors commented about the quality of the prospects. Michelle Schlitter of RANS Aircraft said, "While quantity is important, we're more concerned with the quality of people who visit our exhibit, and we've had several good prospects come through our booth this weekend. We're pleased, and we definitely plan to return next year." Amy Saunders of Evolution Aircraft/Revo Trikes and Pete Krotje of Jabiru NA also said they had strong prospects visit their booths and indicated their plans to return to Showcase 2017. All in all, Showcase 2016 can definitely be called a success, and the organizers are already making plans for Showcase 2017. If you love flying for fun, the DeLand Sport Aviation Showcase is an event you won't want to miss it on November 2-4, 2017! Despite dramatic improvements in technology, air traffic control and pilot training in the aviation industry as a whole, NTSB Chairman Christopher Hart earlier this year said, "The fatal accident rate in general aviation has been stubbornly resistant to improvement." In its Most Wanted List of Transportation Safety Improvements 2016, the NTSB identified loss of control in flight as "the worst single cause of general aviation fatal accidents." Loss of control- inadvertent spins and stalls - claimed more than 1,200 lives from 2008 through 2014. ASR's TriChute Safe Landing System is designed to equip general aviation aircraft with a pilot-controlled mechanism that will bring passengers and aircraft safely to the ground in the event of an irreversible, in-flight emergency. The technology is designed to activate a series of ballistic systems that separate the passenger compartment from the fuel containing wings and deploys three parachutes to bring the passengers and wings down in separate, controlled level landings. "Whole airplane recovery systems have been available in 2 - 5 passenger aircraft for more than 30 years and have an impressive record of life-saving deployments," Manfredi said. 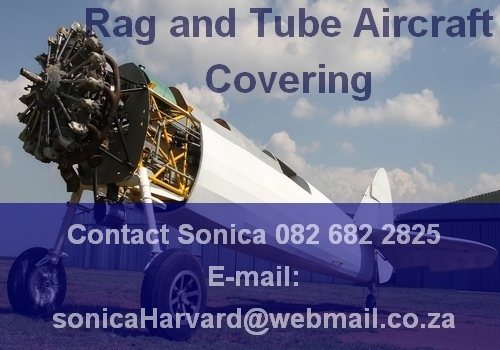 "When a catastrophic loss of control situation occurs in larger private, charter and air freight planes, however, speed, weight and altitude preclude the use of existing parachute systems. Our TriChute system will fill this void and save lives." The original TriChute patent (No. 5,009,374) was granted to Manfredi's late father, Dario J. Manfredi, who conducted a successful FAA-sanctioned flight test in a Stinson Voyager at Lakehurst (NJ) Naval Air Station in 1967. The system worked as designed, separating the wings and bringing the fuselage down safely with little or no damage. That patent was revised and updated with new technology, and a new patent (No. 7934682) was awarded in 2011. Manfredi and his team of experts now are working on a plan for a new test of the TriChute technology on a Cessna Caravan. Joining them on the project is aircraft manufacturing veteran John S. Daniel, who spent much of his career working for Cessna Aircraft and directed a Caravan manufacturing facility. The high-wing, 9- to 10-passenger Cessna Caravan is a perfect choice to demonstrate this new TriChute System. Caravan accidents claimed the lives of 62 pilots and/or passengers through 2015." 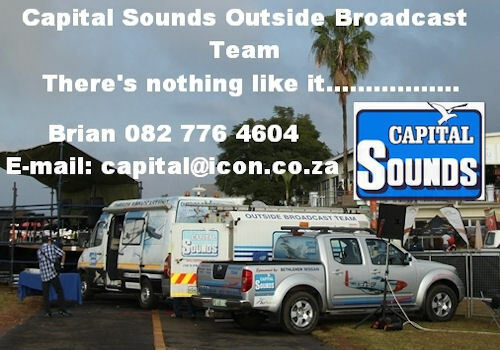 Brazilian made LSA's are not complete strangers in South African market. A number of Ibis LSAs have been imported and have been flying successfully for a number of years. The Montaer's interior sets it apart from similar aircraft in the category. The cabin cell, constructed with molybdenum steel tube 4130, gives greater robustness and safety to the crew. 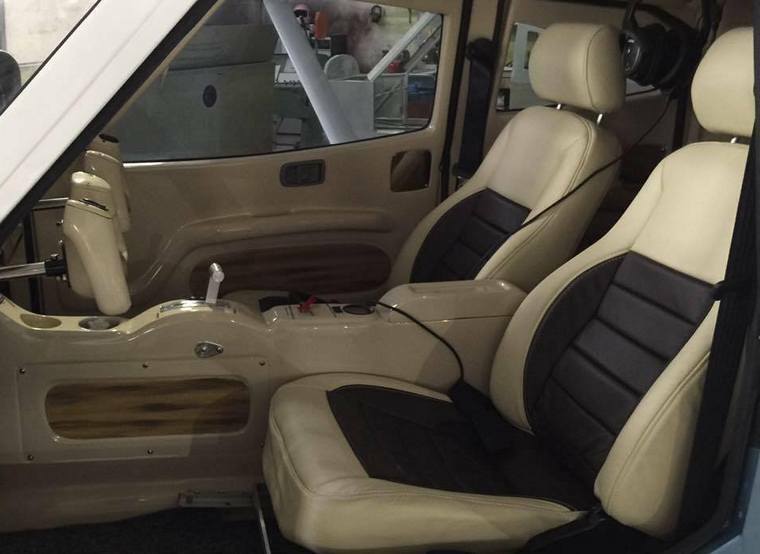 Moulded seats with leather details and armrests, a roof console, cup holders, front and rear cabin lights weaved carpets reminds one of the interior of a luxury sedan. A large rear door, on the side of the co-pilot, the widest of the category, gives direct access to the spacious luggage compartment. The control system is a yoke, with a Bonanza-style joystick, with steel cables mounted on rolled-up pulleys, providing lightness to the controls. The aileron system itself, which has aerodynamic compensation, makes piloting a pleasure, after trimming the Montaer can fly for hours without the need of corrections or input from the pilot. Robinson Helicopter Company delivered two R44 Cadet helicopters (S/Ns 30006 and 30007) to SKY Helicopters, an FAA part 141 flight school, and Robinson's dealer in Garland, Texas. 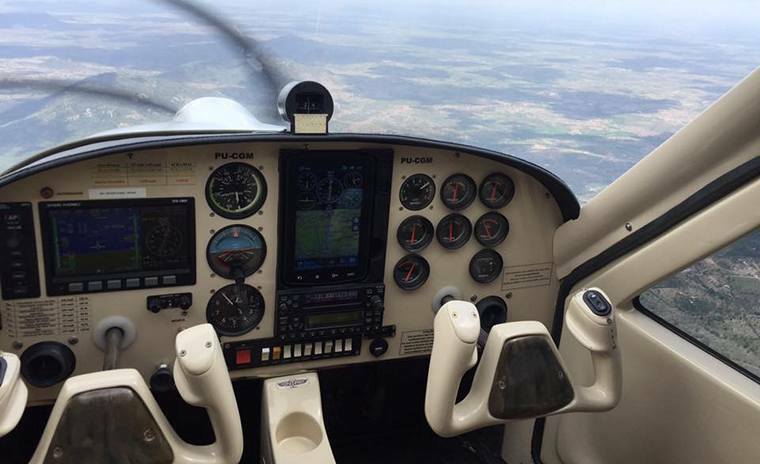 According to SKY's President Ken Pyatt, the affordability of the Cadet along with the optional glass technology, HeliSAS Autopilot and air conditioning make it a very appealing trainer. 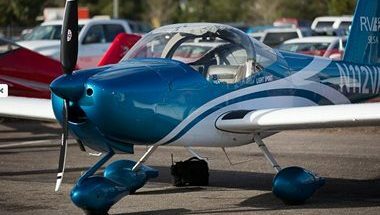 The Cadet's longer 2400 TBO brings its hourly operating cost closer to the R22, a plus for flight schools and pilots trying to build hours. 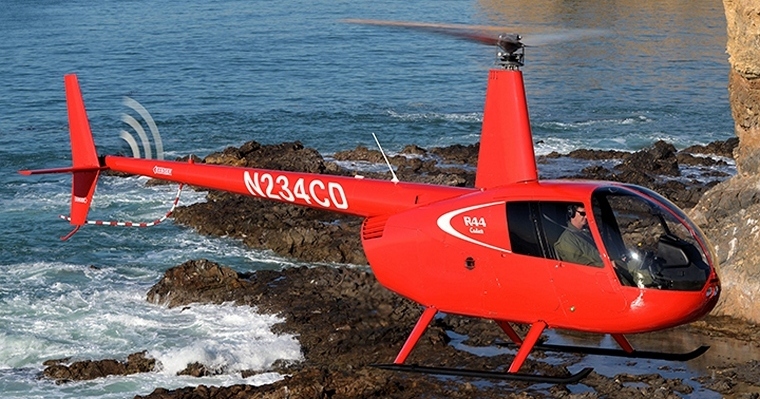 SKY Helicopters' new R44 Cadets are outfitted for IFR training. Both helicopters are equipped with a fully integrated glass cockpit featuring Garmin's G500H display, GTN 750 navigator, GTX 345 transponder with ADS-B Out/In, Bluetooth for seamless connection to personal devices, and Genesys Aerosystems' HeliSAS Autopilot. Additionally, each has Spidertracks for real time tracking, and air conditioning. BOEING T-X. REAL. READY. RIGHT CHOICE. Boeing T-X is an all-new advanced pilot training system designed specifically for the U.S. Air Force training mission. It includes trainer aircraft, ground based training and support - designed together from the ground up. The aircraft - the cornerstone of the complete training system - has one engine, twin tails, stadium seating and an advanced cockpit with embedded training. Boeing T-X is a production aircraft; it is not a prototype. We've already built two and we're ready to build more! The system also includes state-of-the-art ground-based training and a maintenance-friendly design for long-term supportability. Boeing is breaking the norm by investing our own resources to give the Air Force a brand new, flexible design that meets all requirements and can evolve as technologies, missions and training needs change. 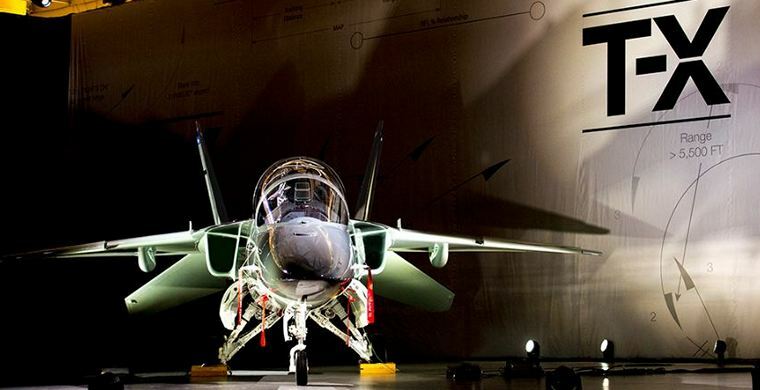 We've also taken advantage of the latest technologies, tools and manufacturing techniques - making Boeing T-X more affordable and flexible than older, existing aircraft. Boeing T-X is real, ready and the right choice for training future pilots for generations to come. 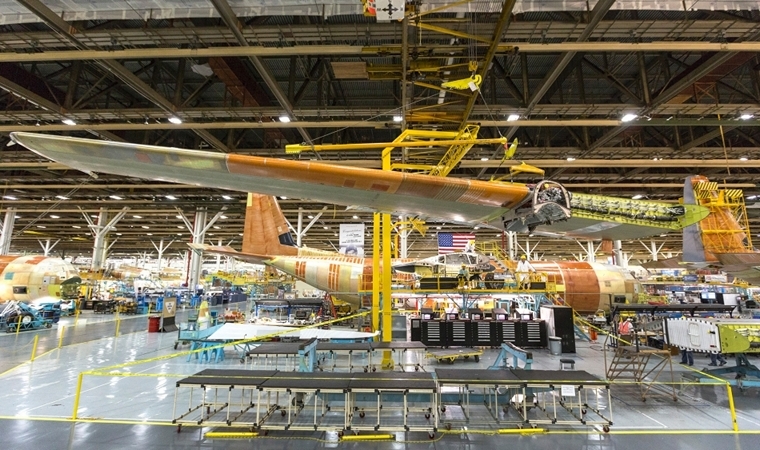 The LM-100J Super Hercules commercial freighter is moving through pivotal production milestones, most recently completing body mate and wing installation at the Lockheed Martin (NYSE: LMT) facility here. The LM-100J is the commercial version of Lockheed Martin's proven C-130J Super Hercules aircraft - the unmatched tactical military airlifter of choice for 17 nations. The LM-100J will perform as a commercial, multi-purpose air freighter capable of rapid and efficient cargo transport. The LM-100J incorporates technological developments and improvements over the existing L-100s that have resulted from years of military C-130J operational experience - including more than 1.3 million flight hours. The result of this experience and advancement translates to an aircraft that will deliver reliable service in a multi-role platform for decades to come. Bombardier Business Aircraft announced that its segment-defining Global 7000 aircraft program completed the successful maiden flight of its first flight test vehicle (FTV1). This first flight marks the start of a flight test program for the newest member of Bombardier's flagship Global aircraft family, which is scheduled to enter into service in the second half of 2018. Dedicated to testing basic system functionality and assessing the handling and flying qualities of the aircraft, today's flight lasted approximately 2 hours and 27 minutes, during which all flight controls were exercised, and the systems and aircraft performed as expected. The flight crew conducted a gradual climb to 20,000 feet (6,096 m) and the aircraft reached a planned test speed of 240 knots. USA, Coronado: Two US Marine pilots of the Black Nights flying their F/A-18 Hornets survived a midair collision off the coast of Southern California. One of the pilots ejected safely into the water whilst the other made an emergency landing at the nearby North Island Naval Air Station. Both pilots were reported as being in stable condition. The Wednesday accident follows a string of recent mishaps involving F-18 fighters. USA, Huntsville: A loaded Ruger .380-caliber pistol was discovered in a carry-on bag at the Huntsville International Airport checkpoint by the Transportation Security Administration. Local police seized the weapon and escorted the passenger out of the checkpoint area. This is the 13th firearm discovered at the security checkpoint by TSA officers at Huntsville's airport so far this year. Passengers who bring in unauthorized weapons may face criminal charges or civil repercussions from TSA. Ethiopia, Addis Ababa: An Ethiopian Airlines Boeing 787-8 Dreamliner on a flight from Addis Ababa diverted to Athens Interational Airport, Greece after the inflight shut down of an engine over Crete. The flight crew issued a 'Pan Pan' call and diverted to Athens, were a safe landing was made on runway 21R at Athens. China, Hebei: Yu Xu, one of the first women to fly China's the J-10 fighter jet died in a crash. Yu Xu was one of 4 female pilots who could fly the domestically-made fighter jet. Yu applied to become a pilot in the air force in 2005 and, four years later, became one of China's first 16 female pilots of fighter jets. She was killed when she hit the wing of another jet while ejecting from her own during a training exercise in the northern province of Hebei. Ralph Greenley Johnstone (18 September 1880 - 17 November 1910) was the first American person to die while piloting an airplane that crashed. 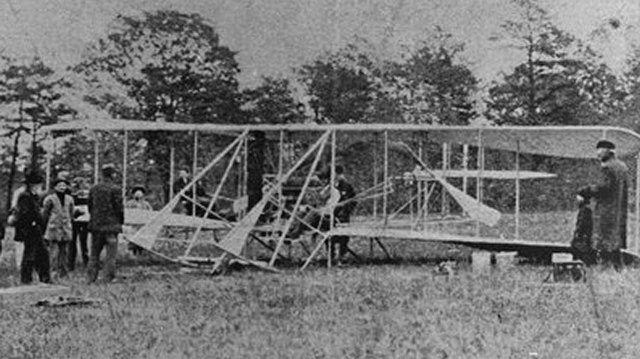 Johnstone, who in his first flight in a Model B Flyer crashed into parked cars while landing, was one of the stars of the Wright exhibition team. Famous for his feats as an exhibition pilot he on 27 October 1910 set a new American flight altitude record of 9,714 feet. 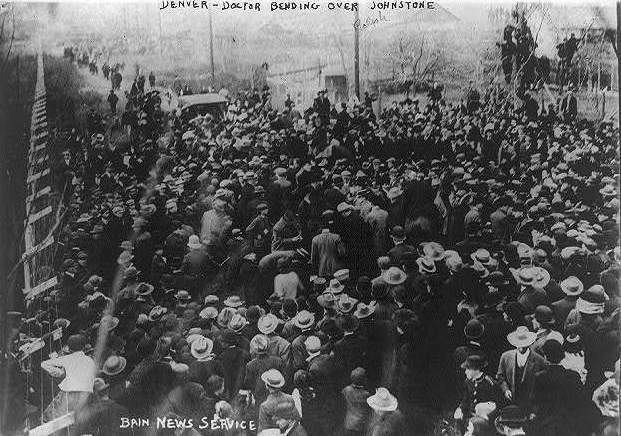 In October, Johnstone was sent to Richmond, Virginia to perform at a county fair. The highlight of the flying exhibition was to be a flight by the town's overweight Mayor as a passenger with Johnstone. The aircraft somehow got off the ground with Johnstone circling 50 feet over the grandstand. The flight was going well until the mayor decided to wave at his constituents and his arm caught in the slipstream and hit the exposed fuel line with such force that it broke. The engine immediately stopped. 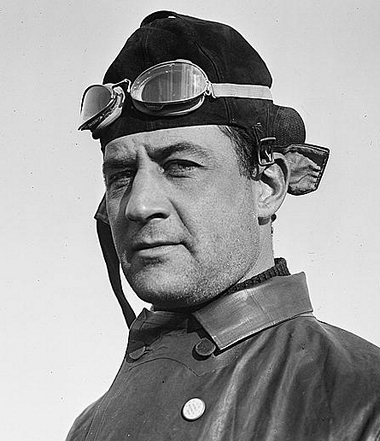 Johnstone somehow managed to keep control briefly until about 20-feet above the ground when he lost control and crashed. Fortunately both men were not seriously hurt. On 17 November 1910 Johnstone, as part of the Wright Display Team, was displaying at a fair in Denver. Whilst flying his signature spirited display and watched by an estimated 5,000 spectators his aircraft broke up in mid-air. He did not survive the crash.